Google still need to improve its smart home gadget. Are you looking for a companion that takes care of most of the things when you reach home after office? No, we are not talking about any human assistance, we are suggesting you Google Home. The smart home gadget from the search giant that comes with inbuilt Google Assistance. Whether you need to change the temperature of thermostat or want to book a movie ticket just ask Google Home, it will do it right away. Need to know the cheapest flight ticket to fly home this weekend, don't worry Google Home got you covered. Even, if you are looking for answers to questions like how to make a pancake then you don't need to YouTube it just take help from your Google friend. 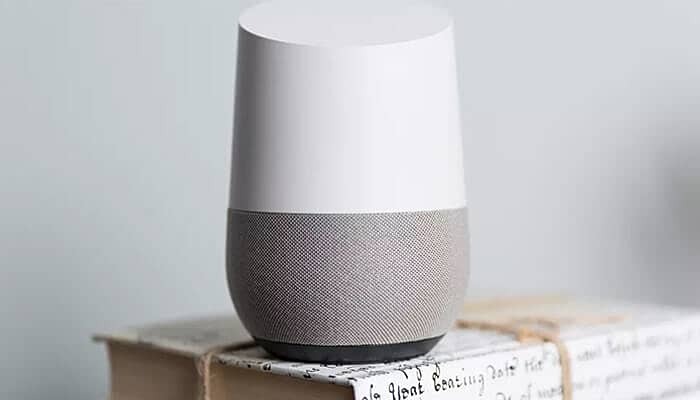 Google Home, is a smart home device that connects with you all other compatible house electronics. The IoT environment helps the smart device to control the other appliances and make the user’s life convenient. For example, consider you missed last night Big Bang Theory episode for some reason, just ask Google Home it will throw the episode on your TV via Chromecast instantly. Pretty Cool isn’t it? Google introduced the smart home gadget back in 2016, and it has become smarter since then. Honestly, Google Home wasn’t an ideal device when it was launched, but now it has came all way up to fight toe to toe with Apple Pod and Amazon Echo. In the period of two years, Google has improved its AI technology for better performance. What if you have a small flower vase that listens to you all the time and reacts on your orders. That’s just how you should imagine Google Home if you haven't come across it yet. A room freshener would be an alternative to describe its design, but that will be far more regional constrained. The smart home gadget comes in the shape of a small flower vase that is composed of light grey color. At the bottom, the device is oval shaped while tapered at the top. The base of Google Home comes with a fabric cover with a rubber bottom that helps it to acquire better grip on the table. Google Home base cover is available in two different choices that you can change by spending extra €20. There is one fabric base, and other is metallic depending upon your style taste and home decor. You can choose the base according to your home decor that goes smoothly with your interior. The metallic cover comes in copper, snow and carbon colors that are either manufactured from painted steel or polycarbonate. The fabric lovers have three choices including mango, marine, violet and a simple white mesh. Google Home design is much more alluring than Amazon Echo and looks beautiful. You won’t find it hard to spot a place for Google Home, unlike the black color Amazon Echo that is pretty odd in appearance. The company has designed the device perfectly by considering the user's all needs. At the top, you will find a flat surface that comprises a capacitive touch panel. This allows the user to control volume, play & pause music or it can be used to activate the assistance just with a single tap. After waking the Google Assistance either by tapping the top twice at the top or saying word ‘Hey Google’ many times and you will able to catch its attention. The smart home device from Google is capable of providing quite a good assistance around your home. We have used the gadget for a week and put it through all the task it should be doing. During the testing period, we have found Google Home pretty responsive to all the commands. The audio output was amazing as it has access to almost every significant music streaming service. Google Home can play music from Google Music, YouTube music, Spotify, and others. You just need to say the name of the song, and it will play by acting as a Wifi speaker. There is a very rare chance that you can think of a song that it won't be able to find, trust me we have already tried it. However, sometimes it gets confused with the band names sounding similar, but that’s considerable. The music output of the device is just fine, don't expect it to give some JBL like music. Though the inbuilt speakers have some bass with quality sound but Google could have made it better. Google Home comes with one feature that no other smart home gadget offers. The device is capable of sending and receiving the Google cast signals. This means it can directly stream the audio from your phone and also able to cast the video on any device compatible with Google Cast feature. Google crafted chromecast isn't the only functionality that makes the Home capable of connecting to the other device. 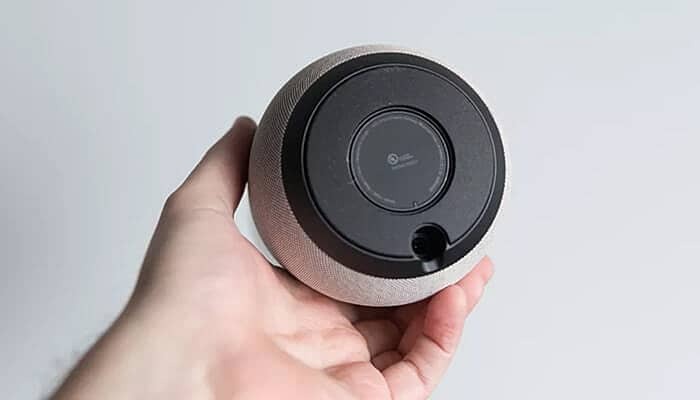 The Google home gadget can be connected to the devices like thermostat, Philips Hue lightbulbs, and Samsung’s SmartThings platform. Besides, Google home can also talk to some of the third party gadgets like IFX light bulbs and LG Music Flow speakers. Google is undoubtedly a fascinating device for those who haven't interacted with this kind of technology yet. However, the performance of Google Home is little disappointing when it comes to recognizing the voice commands .Google Home is far behind from its direct competitor Amazon Echo. The AI equipped device requires some more work from the developers in order to make things smooth for the users. Considering the vast area occupied by Google services we expect Google Home to come with the integration of more functionalities. However, at Google I/O 2018 the company has announced many Assistance updates, but there two significant upgrades that will affect Google Home are Multiple Actions and Continued Conversations.